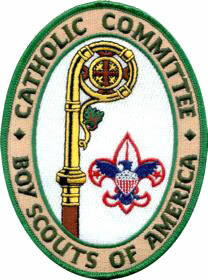 Catholic Scouting: Awards scouting emblems to Boy Scouts and adult leaders, oversees the annual religious awards ceremony, religious emblem training, retreats, and pilgrimages. Girls Religious Awards: All girls, ages 7-18 involved with Campfire Girls, Girl Scouts, 4-H, Catholic Daughters and Schoenstatt are invited to participate in the religious awards program. www.americanheritagegirls.org, is a faith-based Christian organizations that is associated with the Diocese of Lincoln and supported by Bishop Conley for parishes and families to use as an alternative to Girl Scouts. pdf Read a letter from Archbishop George Lucas to the priests of Archdiocese of Omaha (192 KB) giving his encouragement and explaining Bishop's Conley's role on the National Catholic Committee of American Heritage Girls.